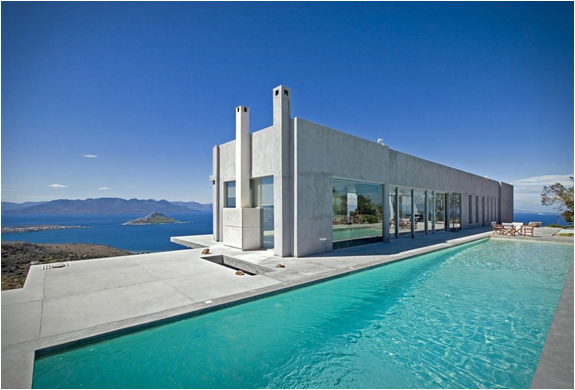 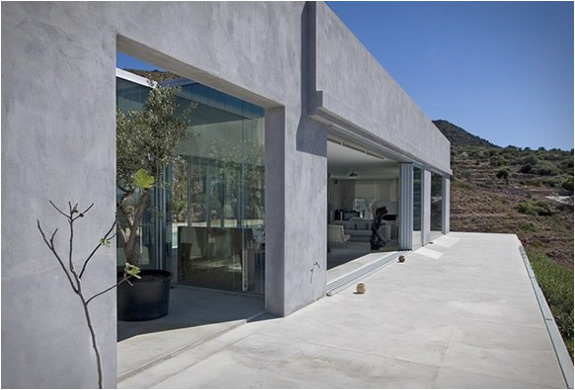 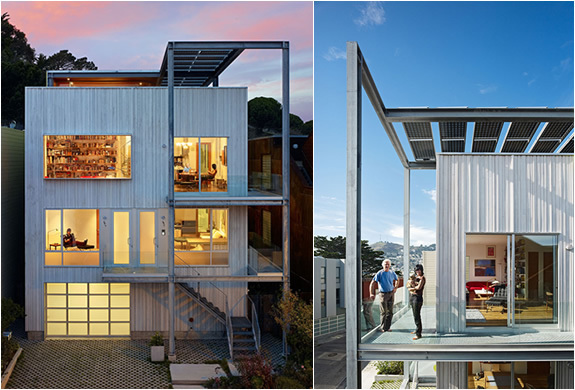 This spectacular contemporary house was designed by Greek architect Konstantinos Kontos. 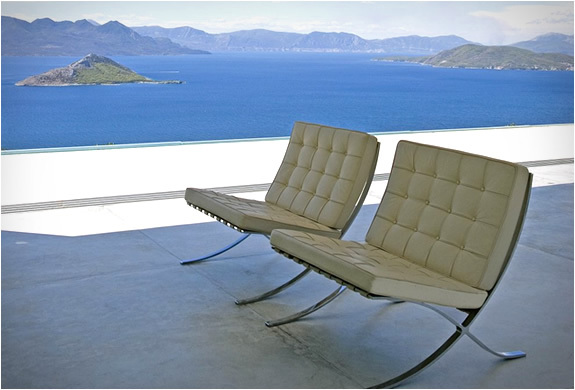 Located in Aigina Island, Greece, the modern residence offers unique breathtaking views of the island and surrounding ocean. 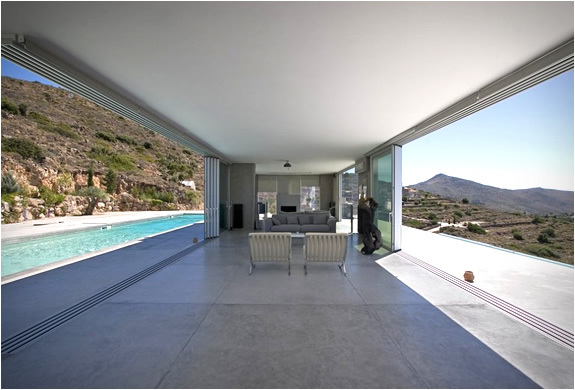 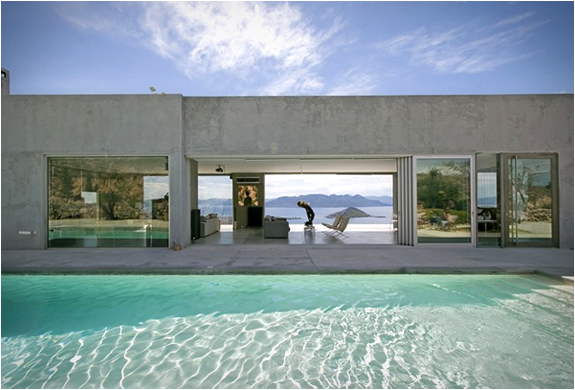 The house can be opened up in the middle, hence making a "see through" from the pool out to the amazing views.